The Azzuri have always succumbed to the supremacy of the Springboks on the pitch. Beyond the scores lies a story of men that intertwined the destiny of two teams. 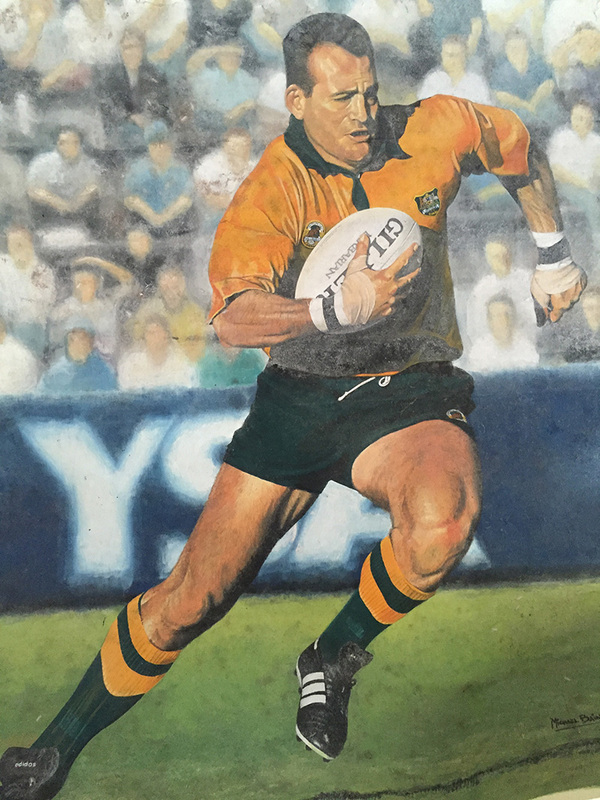 My Italian Link interviewed Nick Mallett and David Campese, each of whom played a role in building the Italian rugby team and in furthering the friendship between these two countries. If I say the word “Italy” what image comes to your mind? Kind, helpful people, delicious food and wine. When did you play/coach in Italy ? 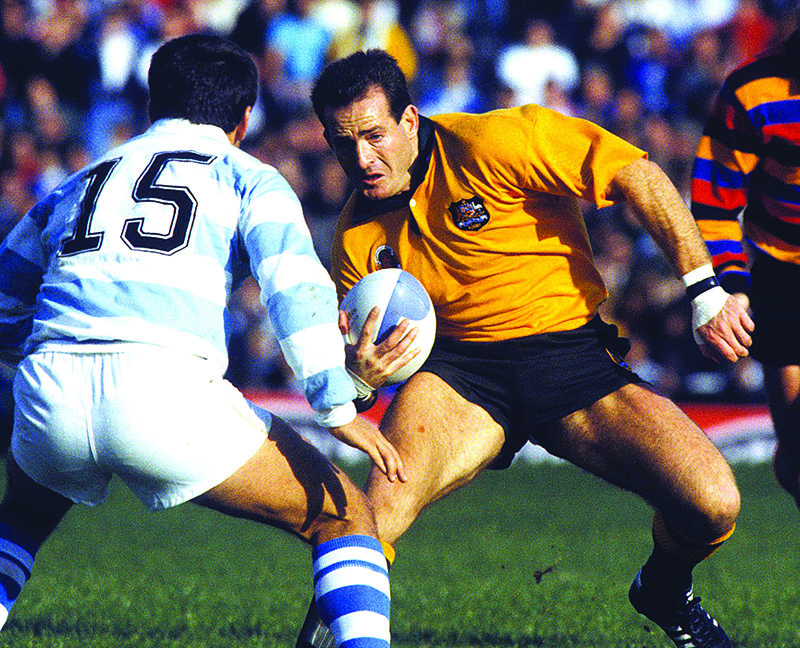 What did you know about Italy and Italian rugby before landing there for the rst time? I was told that I would have a fantastic ex-perience by someone who had played there before me. Your first impression of the country? I played in Rovigo which was a small provincial town passionate about rugby. I then coached the Italian ntional rugby team and rst lived in Rome and then in Salò on Lake Garda. My rst impression in Rovigo was shock at the denseness of the nebbia (fog). Rome and Salò were both spectacular in their different ways. What was the biggest misconception you had about Italians? I was open-minded and did not have pre- conceptions but I was very surprised at how fast Italians drive. What is a classic stereotype about Italy that you actually found to be completely true? That everyone eats pasta everyday and they do! What was your preferred spot in Italy? A secret place that you would recommend to visit? Gargnano on Lake Garda, for sure. Why do you think Italy is such a popular destination for South African tourists? slopes for skiing in winter and incredibly kind people as well as great food and wine. What do you think are the biggest differences between Italians and South Africans and what binds us? Northern Italians differ from Southern Italians but are bound together by sport (football in particular). In South Africa we have many different cultures and languages but we are also bound together by our national sports teams (football, rugby and cricket). What are your expectations for the Italy vs South Africa November 2016 test match ? It will be far closer result than South Africans expect! What do you expect from this tour for the Springboks? The team is rebuilding under a new head coach and new players and it will be good to win three out of the four matches on their tour in November. Your recommendation for one Italian Wine, one Italian Dish and one Italian restaurant that you really loved. As for the wine: Nero d’Avola, the dish: Fioren- tina steak and the restaurant: La Rosa dei Venti, Salò. To me it means passion, food and history. My dad comes from Italy and after living in Padova for three years I loved the food and people. If it was not for this experience I wouldn’t be the person I am today. When did you play/coach in Italy? I was asked by my then coach of Padova Vit- torio Munari to come and play after the 1984 Grand Slam. Loved playing. If we won it was the locals who won. If we lost it was my fault. Not much. But I found out very quickly about the passion and the pride when you played at home. You never lose at home! Your rst impression of the country? I was about 2 years old when my dad, Antonio, took the family to live in Montecchio near Vicenza. We stayed there for about two years. I still remember driving a tractor through a wall. Not my best moment. The countryside was very beautiful and the family loved driving around. It was all true. They love using their hands, they love pasta, men and women wear very very smart clothes. And the food. What more can I say? Also they always live for today and not tomorrow, enjoying parties and meeting in the town square at night. Italians love food, wine and enjoying life. My favourite spots were Padova, Rome, Ca- tania, Naples… Also Vicenza and Verona. Anywhere is good actually! Food, lifestyle and history. I think that to go and see the history and just the relaxing way the Italians live and play. And going away in the different seasons. The way of life. The shopping from some of the top Italian designers. Also the architec- ture which is the best in the world. I also think that the food, the wine and the people from South to North are very different. The terro- ni are very different from the rest. Playing in Catania was a very interesting time. The food… incredible. The taxi ride from the air- port was like sitting and trying not to say a lot. The players said: “Don’t mention the Ma a!” Which I didn’t. The crowd at the oval was behind the barbed wire fence. So I have seen the good, the bad and the beautiful. What are your expectations for the Italy vs South Africa November 2016 test match? At the moment, the rugby world is nding that the game is moving and some teams are moving faster than some others. The Italians are still trying to nd their own style and with a French coach they will still nd it hard to play the Italian way. 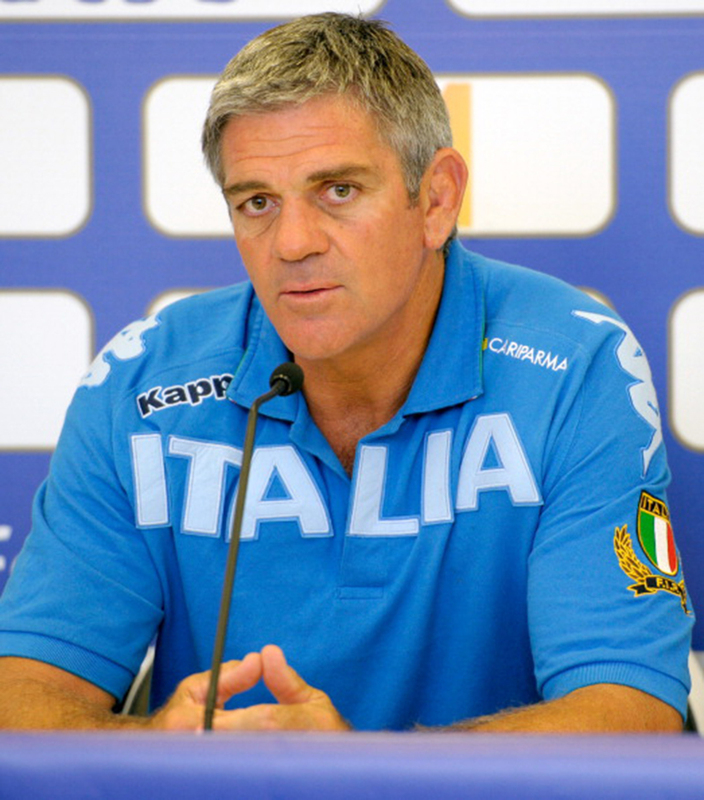 One thing my coach Vittorio said to me about the Italian players: “You don’t coach the Italians rugby, you coach the Italians!”. After a very hard rugby championship the Boks will be looking for good display and a winning way. I love Chianti wine and one of my favorites pasta is Vongole with wine. I loved all the trattoria. And the best pizza ever – called “Pepen” – was in Padova and it was unbelievable!